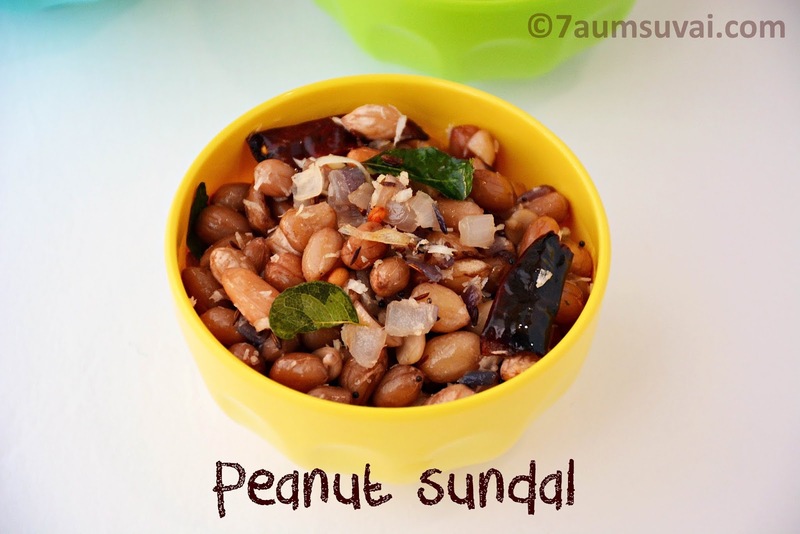 Peanut sundal is a healthy snack that you can prepare at the time of vinayagar Chaturthi, Navaratri festival etc. 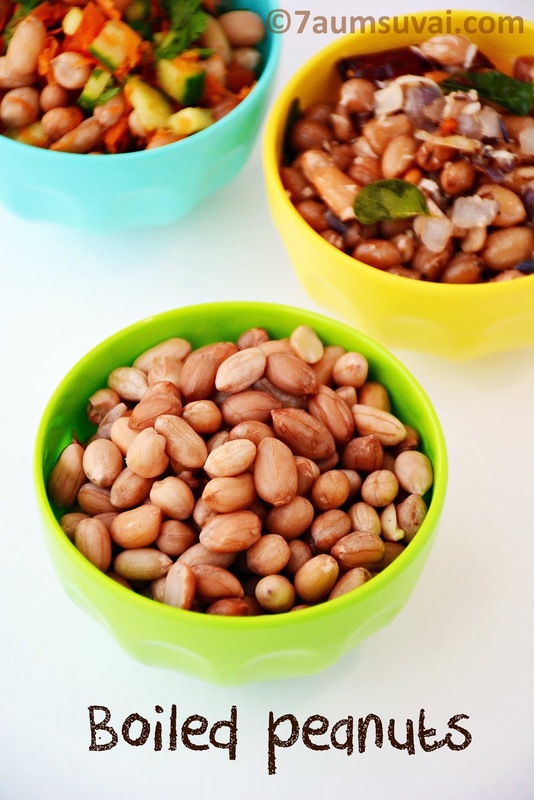 It can also be prepared as a evening snack since it has lots of nutrition in it. 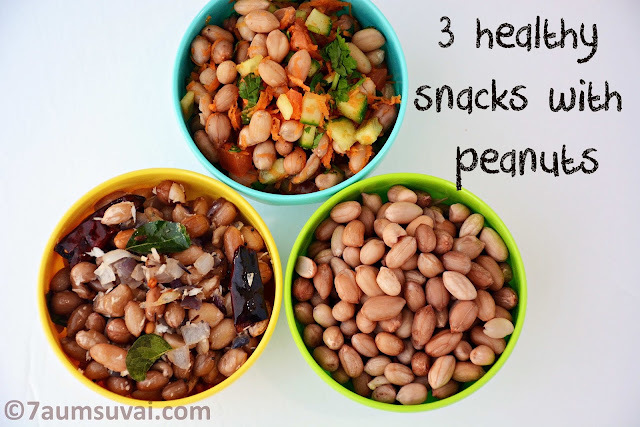 It is an easy and healthy snack, that can be prepared real quick. 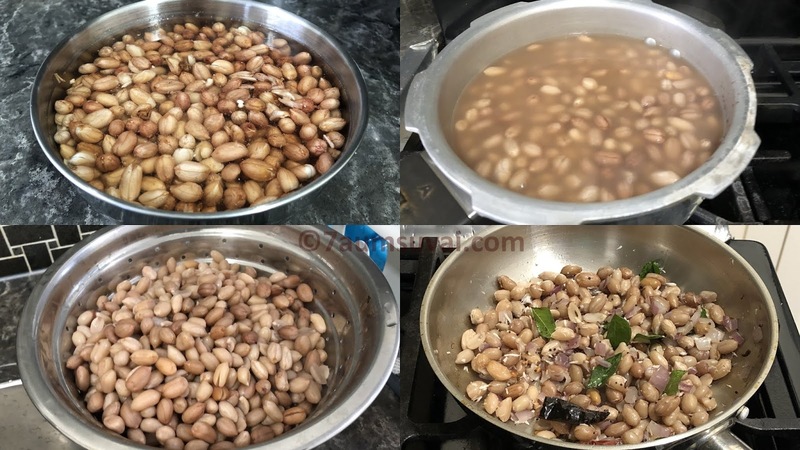 Wash and soak peanuts for about 2 hours. Pressure cook the soaked peanuts along with little salt and enough water to cook, then cook until they are soft or well cooked. Strain water completely and set aside. 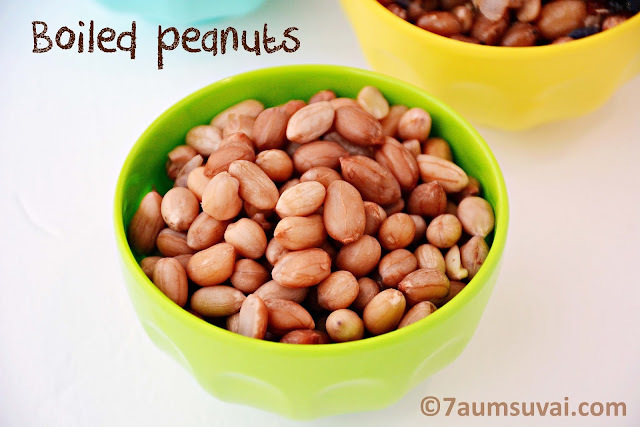 Add cooked peanuts and saute for 2 mins or until moisture is completely absorbed. 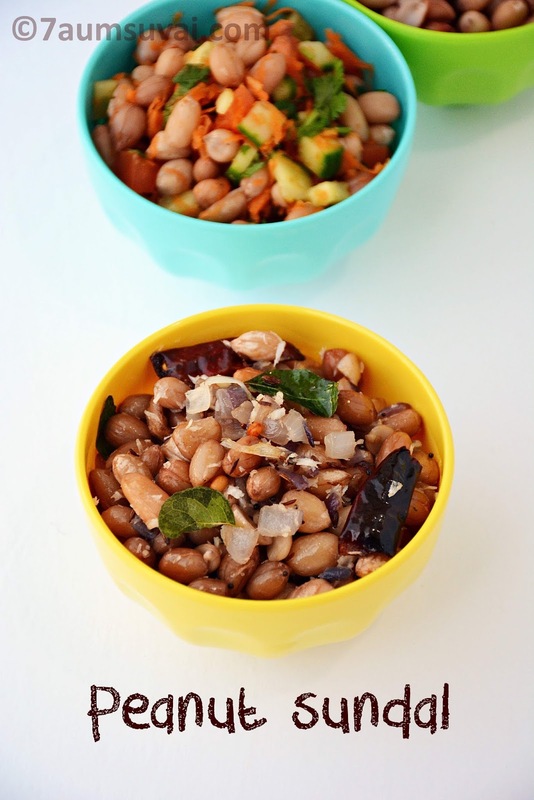 Finally garnish with coconut grated and switch off the stove. Peanuts sundal is ready. You can also open cook peanuts in a vessel instead of pressure cooking it. You can also add green chilies in this recipe while adding onion. 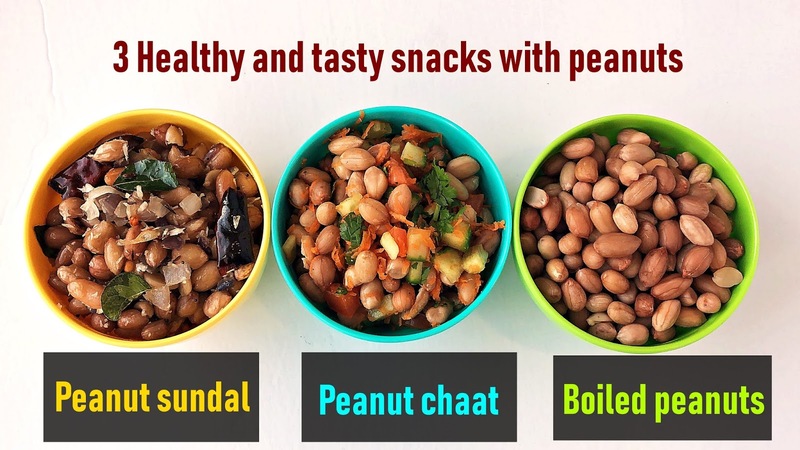 You can prepare healthy snacks with boiled peanuts like peanut sundal, peanut chaat etc.